If there was ever a movie to make somebody regret that they had any familiarity with the Harry Potter universe, it would be the astoundingly irritating Potter fandom documentary We Are Wizards. Josh Koury’s smartly-shot but lazily self-indulgent work seems to be attempting to follow in the footsteps of such fan-exploratory films as Trekkies. Unfortunately, it takes a subject of potentially great pop-anthropological interest and turns it into an object of such airtight self-satisfaction that one escapes it wishing never to hear about the boy wizard ever again…. 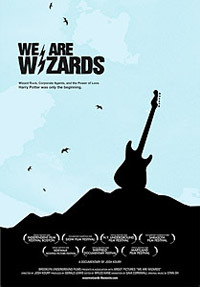 We Are Wizards is playing in limited release now. You can read the full review at filmcritic.com.